With its mesh body and rounded steel edges, the Safco Onyx 5-Drawer Mesh Literature Organizer gives a stylish look to documents and file organizing. This sturdy sorter features five 1.25 inch high drawers that are nine inches wide, can fit letter-size literature and has a 5 pounds capacity each. It also has a raised bottom and a top space for extra storage. 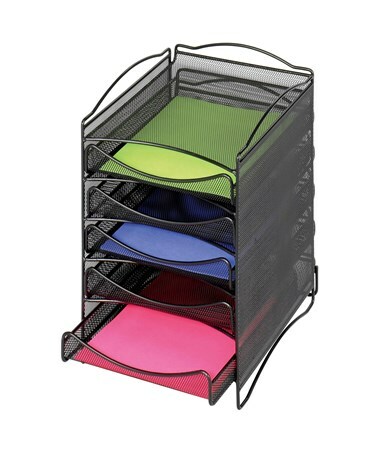 It can be stacked up to two units high and connected with other Onyx mesh literature organizers (9431BL) with the included connector clips. 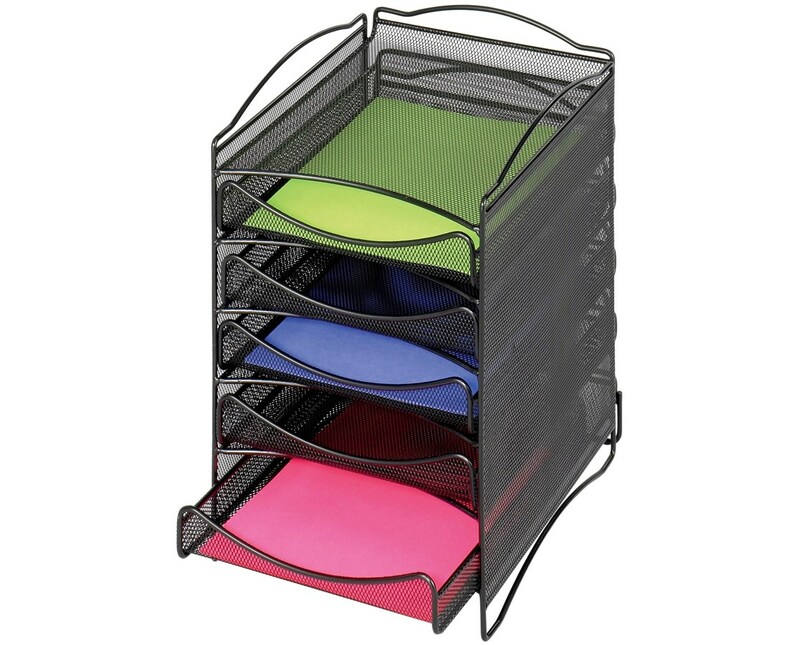 This literature organizer is made of steel mesh with a powder coat finish and is safe for indoor use as certified by GREENGUARD.